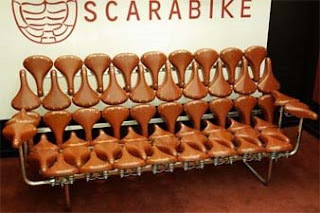 This Brooks couch was created by Scarabike - "a bicycle producing company" in Japan. They have a matching stool. If you don't know about Wallbike, as it is affectionately and electronically known, find out. They're sensible and low key.